I'm participating in a new meme this week over at The Gypsy Mama. The goal is to write for 5 minutes. No more, no less. And, my favorite part, no editing allowed (I honestly wonder how many people really don't go back and edit, but anyway...) This is my first time to do this and I didn't realize there would be a prompt, so looks like I'm not doing this exactly right the first time around. Grace? Last night, I let myself dream a little bit. 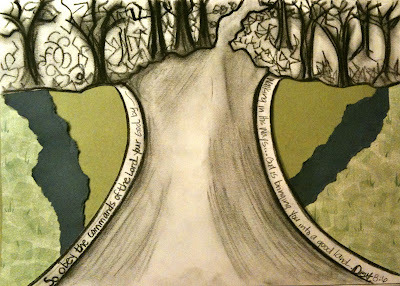 I imagined speaking to a group of women and teaching them how to use art in order to hear God speak through Scripture. I watched myself on the stage. I was smiling. My heart was so full of joy. This is my calling, I thought. All other fears and what-ifs faded into the background and I was just so...there. I think every so often I must, as a practice, shirk off the fear for a few moments and just allow myself to see ME as God sees me. I see my imperfections. I see my failures. I see my weaknesses. But, He, He sees me as whole. He sees me as His. He sees me as somebody who can do anything with the power of Christ, who strengthens me. Surely, I should spend more time looking at myself through His eyes. I guess it goes to show you that God even hears those random sentences like, Oh, Dear God, please help me get through this day. Always trying to climb up or over or out. Which way are You leading me? So that I might see how You were there all along. You have assured me that Your hand is secure. You have assured me that I am never alone. God has made it clear to me that I am to raise my funds for the She Speaks conference. This is one of the most humbling experiences that I have ever had to walk through. It is terrifying for me, but if I'm not willing to move outside of my comfort zone, if I am not willing to risk failure, if I am not willing to give it everything I have to do what I feel that He has called me to do, I will never have the confidence or the tools to live and grow into the ministry of s(He) Listens. As much as it pains me to do this, I am posting my sponsorship letter here. You've walked this entire journey with me, friends, and for that I am eternally grateful. Last October, I attended the Woman of Joy Conference in San Antonio. The last speaker was Priscilla Shirer and she was speaking from her book, One in A Million. It is essentially a book about allowing the Holy Spirit to radically shift one’s spiritual life, fertilizing the soul, and cultivating intimacy with the Father. It’s about a process of surrendering to God so that one can live into the fullness and abundance of what He has promised us. After her talk, she asked everyone to close their eyes and then to stand if we felt like now was the time to make the commitment to be one in a million – to live a life that is completely sold out to God, to abandon our comfort zones, and to step out in faith towards the life He has called us to live. And now, in a place that is completely outside of my comfort zone, I stand before you, asking you to prayerfully consider supporting me in my call of ministry as a speaker. I believe that God has a specific plan for this new ministry. 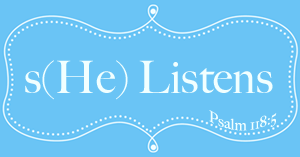 I’ve named it “s(He) Listens.” I know that God is the One that knows the heart cries of the people who will be sitting before me in the audience. He is the One that knows the words that have the power to open their hearts, transform their lives, to deliver hope, peace, and joy. My job is to ask Him for the heart cries, ask Him for the wisdom, and then open my mouth to speak His heart. Two parts listening to one part speaking, thus the emphasis on the listening in the name. One of the first steps I feel God calling me toward as I build this ministry is to attend the She Speaks conference, put on by Proverbs 31 Ministries, in Concord, NC, in July of this year. I would be taking the speakers’ track, which can be summarized like this: Whether speaking in a large arena or leading Bible studies in church, participants will be equipped with the tools needed to effectively share the Word of God, create a bio sheet, market her ministry, and give successful presentations. * You can pray for me and this ministry, especially for wisdom, protection, and guidance. * You can assist me with the cost of the conference itself ($595 cost which includes meals, hotel, conference fees). These donations can be made directly to Proverbs 31 ministries and are tax - deductible. My conference has to be paid in full by June 1 (but the $595 rate is only good if I've paid by 4/15). See below for information on how to donate toward these costs. Thank you for reading this and for everything that you have done for me throughout my life. I would not be the person I am today without you. My prayer for you is that God would pour out His amazing blessings upon you and your family, that you would feel His presence, know the depth of His love, and be covered with His grace. Please be sure to designate the scholarship in my name in order to credit my scholarship fund. You will be receipted for your tax-deductible donation. So obey the commands of the Lord your God by walking in His ways and fearing Him. For the Lord your God is bringing you into a good land of flowing streams and pools of water, with fountains and streams that gush out into the valleys and hills. It is a land of wheat and barley; of grapevines, fig trees, pomegranates; of olive oil and honey. If you ask me where in this picture I would place myself, I would say that I am on that bit of narrow path you see up toward the top, where there are still brambles that line the road. And even though there is still a very real possibility that I could become ensnared, and conceivably entrapped in the wilderness for a while longer, I can now see. "What can you see?" you ask. I see a glimpse of the Promised Land, my friend. And as excited as I am about the fruity goodness that awaits me there, right now, I am more excited about exiting this wandering business. I've learned through the winding roads of my wilderness, and in this place I've had to endure the process of healing scars. 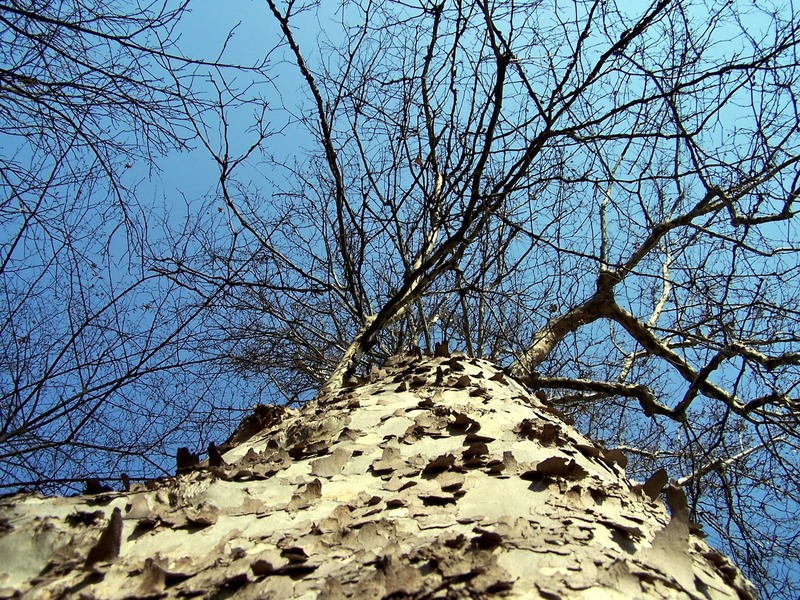 When the briars seemed to be taller than I, when all light seemed to be choked out, when I had such little energy to cut away anything more, in the depths of darkness, though, I found grace. Perhaps one could say, I am a bit thankful for the wilderness, for teaching me about this grace phenomenon, which still confounds me a bit (a lot, actually), but I feel that I have a taste, a small grasp. I am learning. As I re-read this post, over and over, I realize that at this time, it cannot be fully complete. My thoughts are still a bit jumbled because I am still so thick in the process. There are not formulated sentences that explain it all, but rather, just feelings, perhaps visual illustrations that can attempt to express what I cannot with words. But in the promised land that I see, there is a Hand that guides me. It is gentle. It is kind. It is overwhelmingly good. There is hope. There is light. There is freedom from anger. There is freedom from despair, from grief, from the "I-will-never-measure-ups." There is confession and redemption. There is letting go and pouring out. There is a relinquishing of unhealthy fear and a deep reverence for my God. 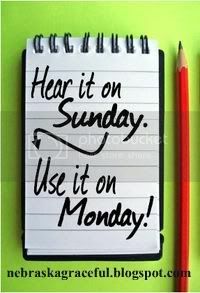 Linking up with Michelle for Hear it on Sunday, Use it on Monday. Come see what others are learning. Studio JRU for Sneak Peak Fridays. This week, the balcony was my studio. 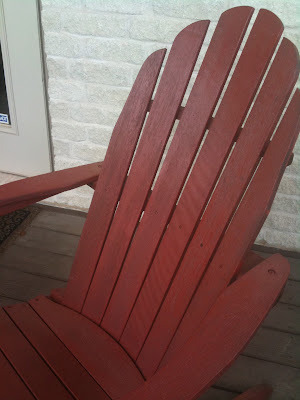 There I was, with my sketchbook and pencils, creating in my spray-painted red adirondack chair, with the wind chimes singing and birds nesting in the trees in front of me. It amazes me what God can teach me when I take time to rest and let the wind blow through my hair. 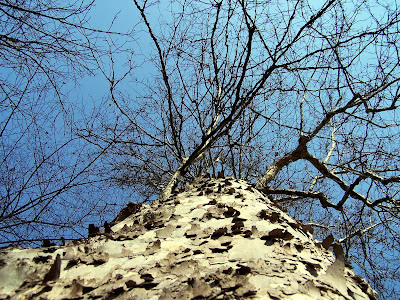 Be like a tree and let Me blow through you. As the leaves rustle, let My Wind tousle your hair. Stand tall, but allow Me to bend you. Clothe yourself, but let my sun warm you. 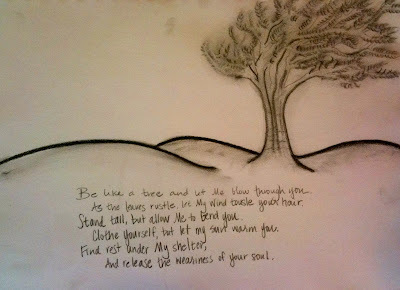 And release the weariness of your soul. Linking up today with Studio JRU, Home Sanctuary, and Caffeinated Randomness. If only for a few moments. 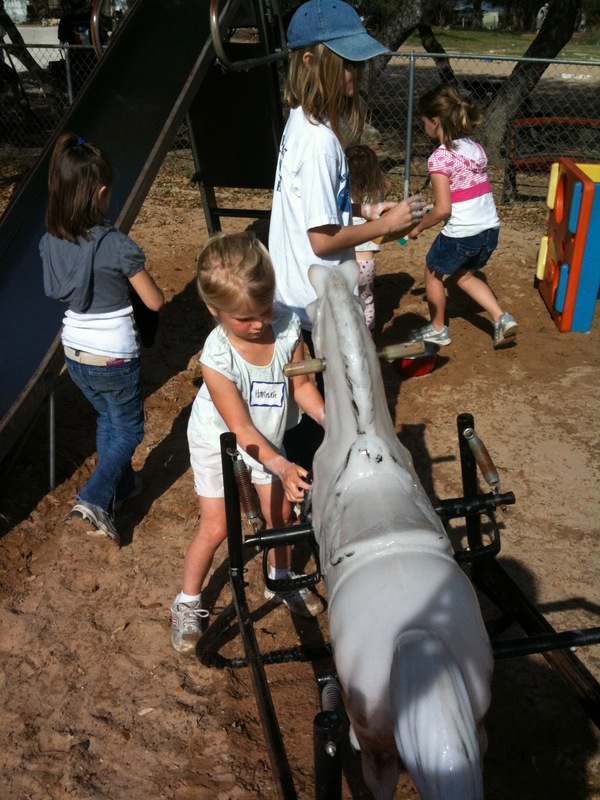 Pictures of my children and their friends serving over Spring break at a local trailer park. My godson planting with a girl who lives at the park. Cleaning a tire for the new tire swing going into the community park. My baby planting veggies with her newfound friend. 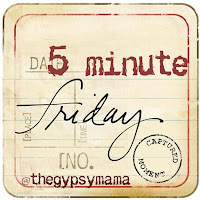 Linking up with Dayle for Simple Pleasures today. Without me even being aware. 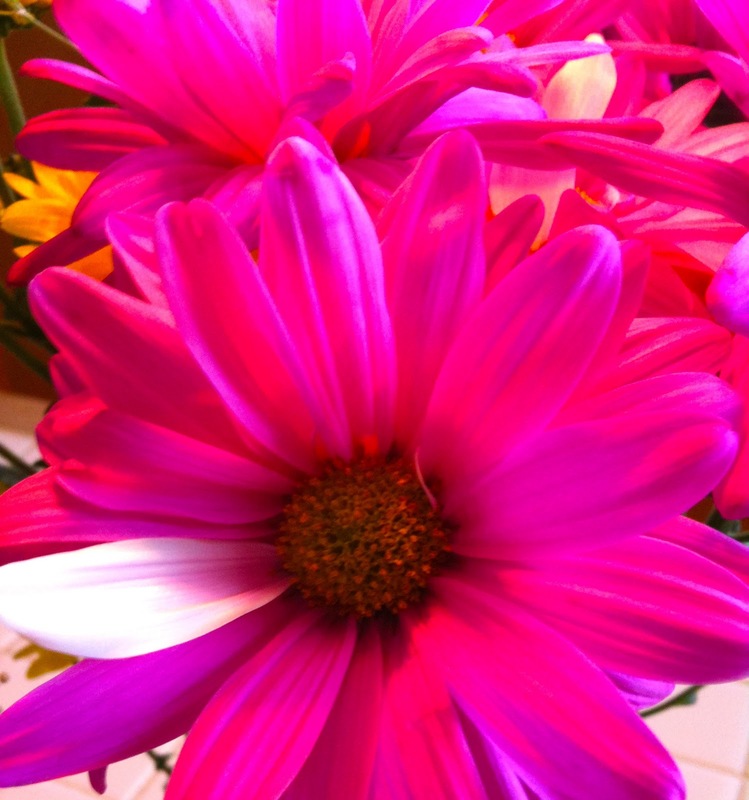 Also, linking with Tiffini for Word Women Wednesday (sorry for all the clicking today!). I wish I had a magic curtain so that this unveiling would be more dramatic. Alas, I am not that tech savvy, so I'm just going to have to do a simple TA-DA reveal. But first, I have to thank the wonderful Critty Joy (Christy) for doing this for me. I cannot say enough about how fantastic she is or how beautiful her work is, but know that she is a true blessing from Him and she is walking out in the talents that God has bestowed upon her. 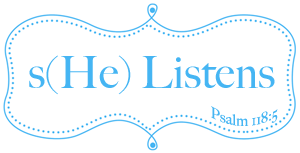 I am honored to know her and so overjoyed that she designed the logo for s(He) Listens. I'm going to show you both forms. Are you ready? Here they are -- TA-DA! Lately, there have been all these ideas, and therefore questions, floating around in my heart about s(He) Listens, about the logistics of speaking and writing, about even going to the She Speaks conference. After God had my friend Jenny (a looong time friend & SDG sister) pass some information along to me, I decided I was going to write down in my journal all the questions I wanted God to answer. I wanted hard-core details. I wanted to know whether timelines were strict or negotiable. I wanted step-by-steps plans and concrete yes-or-no answers. Black and white. No gray allowed. I don't know how to do gray, you see. Gray to me is more wilderness. I'm ready to be out of the wilderness. But through some more words and a vision from Jenny, it seems like there is a reason for the grayness. To be completely honest, if God gave me a plan with all these specific details and deadlines, guess what would be my focus? It pains my heart to say it, but I know me (and obviously, God does, too) and I would become all about the details and the deadlines. I would walk in what is comfortable and structured. I would grasp ahold of what I know instead of the faith and trust that He has taken such care to build in my heart. And if I begin to look at this from this vantage point, my heart begins to cry desperately for His Hand to lead me, even if I cannot see through this fog. I know that while details may get changed and deadlines may be missed, His Hand will never falter. His Hand will never lead me astray. His Hand will always be full of life and grace and truth. His Hand can hold so much more than the grandest dream or the most thoughtfully laid out plan. One more quick thing here. I would appreciate prayers for discernment as to whether God is calling me to She Speaks this year. And, if I should raise funds for this. I HATE asking people for money. Honestly, it's embarrassing to me. I have all kinds of negative thoughts about whether I "deserve" it, blah, blah, blah. Anyway, I'm not sure I'm in the place to delve more deeply into that, but I just would treasure your prayers. And, of course, if God gives you a word for me, please let me know either in the comments or by email. So, there you go. That's me, right now. I hope you have a wonderful time visiting and chatting with your other sisters today. May His blessings pour forth in your lives and to the lives of those you touch this day and every day. "What did you decide to do?" "I decided to give up chocolate," she whispered back. "That means no Oreos for dessert, you know," I said. "I know, Mom," she said. "It'll be fine." And it was fine. All through church. All through the drive home. All until we sat down to make the grocery list. My younger daughter said, "Mom, don't forget to buy ice cream sandwiches!" To which Abby's head snapped up and a look of dread crossed over her face. 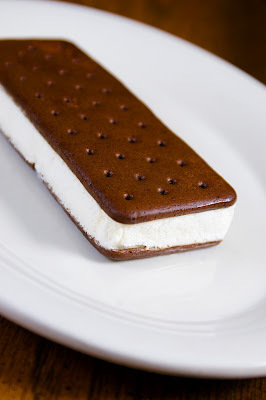 "But ice cream sandwiches have chocolate on them. And if you buy them, I'll see Hannah eating them. And then I'll want them." Insert tears, a red face, and intense voice tone. "But Hannah didn't give up chocolate. You did. She can still have it and you'll have to resist the temptation." "But that's too much. That's too hard. I won't be able to do it," she lamented. "Maybe you can convince Hannah to give up chocolate, too," I offered, but highly doubtful that my sweets-loving younger child would ever, ever consider letting go of that which makes her supremely happy. A minute later, Abby announced, "Mom, you don't have to buy ice cream sandwiches. Hannah is giving up chocolate, too. We want popsicles instead!" I've been thinking all week about this show of support between these sisters. There was nothing in it for Hannah to do this for Abby. It was a gift of pure love, motivated only by the desire to help her sister avoid a pitfall into temptation. It was a reminder to me of the importance of actively supporting those around me. Sometimes this might just mean giving up something that I don't necessarily need to give up. Sometimes it might mean forgoing my right to do something so that I don't cause someone else to stumble. Sometimes it might mean walking right next to someone, shouldering the burden, because alone, it would be too heavy for just one to carry. 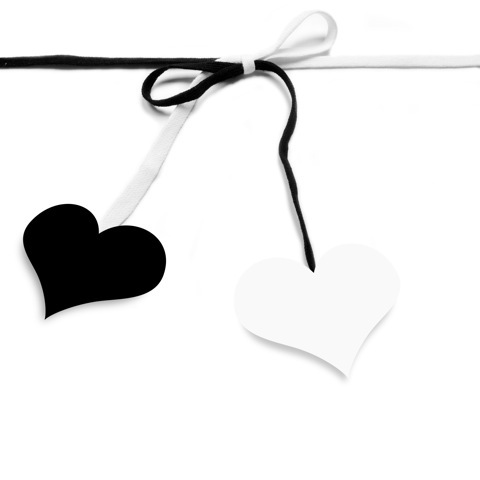 Linking up with Michelle at Graceful for Hear it on Sunday, Use it on Monday. Come see what others are learning! Lately, I am completely astounded at the fact that my heart can be so broken, but I can still have so much hope. Lately, I feel like a failure often in my parenting, but then, I see the clouds part, the sun shine in, and I have moments of pure joy with my girls. Lately, I have be grateful for Soli Deo Gloria and I am honored by the way God shows up – every single week – in these women’s posts and their comments to each other. Lately, God has asked me to put my pride on the line. He asked me to take the risk at failing publically. And it was really hard, but now, I think I’m over it. Well, at least for a little while. Lately, I’ve been intrigued by the concept of a mind and body at rest. I took yoga for the first time on Tuesday and I could feel God begin to teach me what it really means to have a clear mind. It is possible! Amazing. 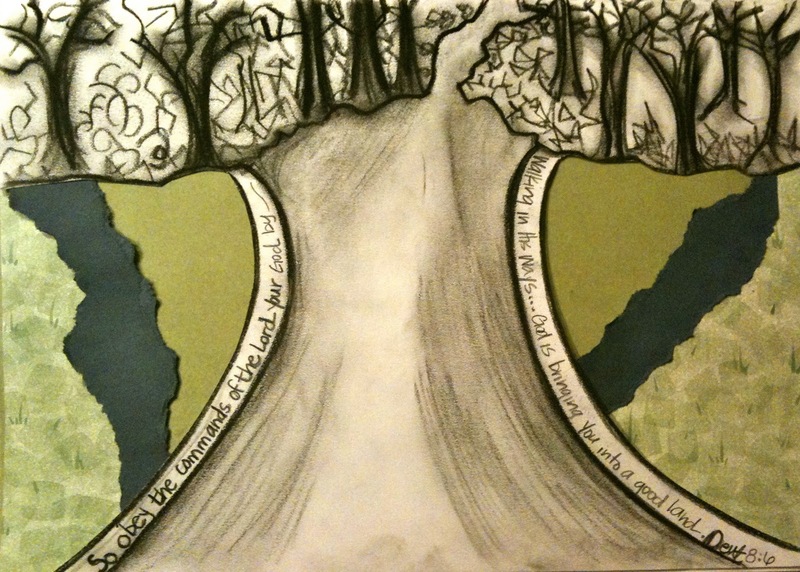 Lately, God has been asking me to walk through some places in my heart that He wants to heal (see broken heart above). As I grieve in those places, I feel Him grieving with me – a tangible representation of Him holding my hand as we walk through this wilderness. What has been stirring in your life, as of late? 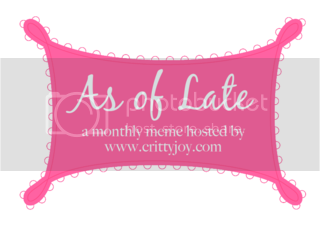 Linking up with Critty Joy for this wonderful monthly meme. I think I mentioned this before, but I've been reading The Five Love Languages of Children. I am currently reading the chapter called "Discipline and the Love Languages" and after I finished reading it, I looked at God (well, I looked up) and said, "Do you think You could have brought this to my attention a wee bit sooner? Life sure might have been a tad bit easier." I honestly feel a bit daft for not recognizing that I should be doing things differently than I currently am, especially with my background in childhood development and education. It never ceases to amaze me how quickly all that training goes out the window when it comes to my own kids. With my own kids, I just want them to BEHAVE, you know? (I'm quite realistic, yes?) Anyway, here is the question I have been asking when my children misbehave: "What can I do to correct her behavior?" Apparently, this is the WRONG question. What I should have been asking is this: "What does this child need?" The whole premise behind this is that children misbehave a majority of the time because his/her love tank is not full. Even though we as parents know that we love the child and even though we may express that love, there is a chance that how we express it and how they receive it don't fully match up. The authors state that if the parents ask "What can I do to correct her behavior?" we usually resort to the answer of "punishment." However, "when we resort to punishment first, later we cannot easily consider the real needs of the child" (124). Basically, what I think the authors are saying is that if we can discern how our children receive love (physical touch, acts of service, words of affirmation, receiving gifts, or quality time) and then actively seek to love them in those ways, we will see a decline in their misbehavior simply because they feel loved and are not acting out of desperation, trying to get our attention. They go onto say that a child who feels genuinely loved will also respond better to discipline because they are already secure that the parent acts out of love. I, myself, am really still in the place of trying to process all this. And I recognize that it is going to take me a bit to unlearn some of my old behaviors. What I am actively trying to do is to consider what is prompting my children's misbehavior and what I may be lacking in giving to them. I have seen fruit borne out of this whole love language thing, mostly with my oldest daughter (she's 6). She is a big time physical touch girl. When she starts getting angry or impatient, I have started to gently put my hands on her shoulders and pull her closer to me before I start speaking to her. Many times she will just crumple into me and her heart becomes much softer. The defenses go down and I honestly feel that she is in a better place to receive my words. While she may not like the words that are coming out of my mouth (words of discipline and training), she is able to receive them better because she feels my love in the physical touch before I even begin talking. I would love to know y'alls thoughts about all this. I'm always wanting to learn how to better love and teach my children! Linking up with Erin today at Mama's Heart! The other night I was sobbing uncontrollably, overcome with grief, shattered by some new revelations (or rather just finally facing some that I had stuffed down deep) and I cried out to God. I need hope. I need to know that this will have an end. That I will have release from THIS. 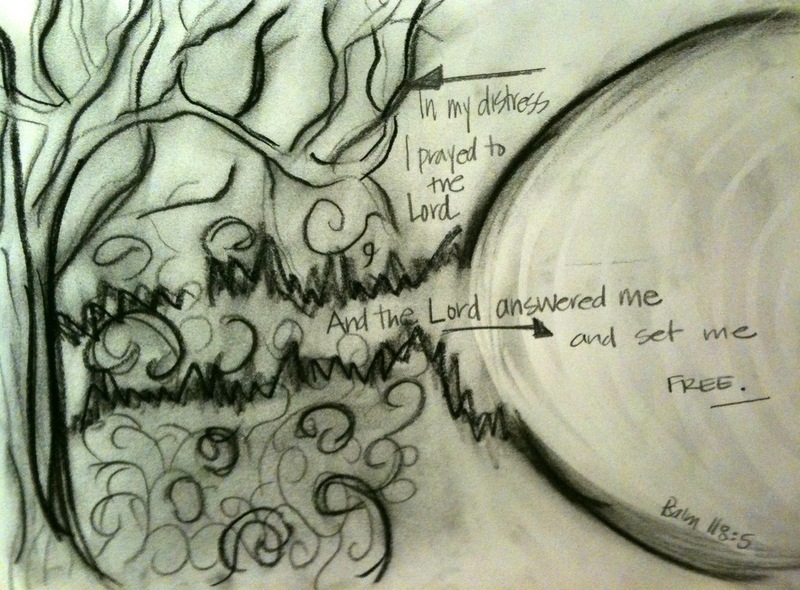 I simply asked Him for a verse and I heard "Psalm 118:5" whispered in my ear. And, so, I picked up my Bible that rested on the wooden night stand next to me, wondering if I really heard that voice, pleading that there would be encouragement nestled in that verse, craving that my desperation would be known. Reading this verse did not immediately solve my problems, but the hope that He would rescue me, that He would at some point set me free, provided enough deliverance for the moment. I could rest in hope, assured that He heard my cries in that very moment, without condemnation, without harsh words, without pull yourself together, girl. A simple promise that is to come. The waves were rough that day. I had little Hannah standing next to me in the calf-deep water. Grannie was sitting in front of me, in water that was just a hair shallower. We chatted. We laughed. And we didn't notice the wave behind us. All of the sudden we were smacked with a large, unexpected wave that lifted Hannah off her feet and nearly knocked my 88-pound grandmother under the water. Hannah had already been holding my hand, but since her feet no longer found footing on the ocean floor, the rip tide was carrying her north. I tightened my grip on her and lunged for my grandmother to help her keep her head above water. 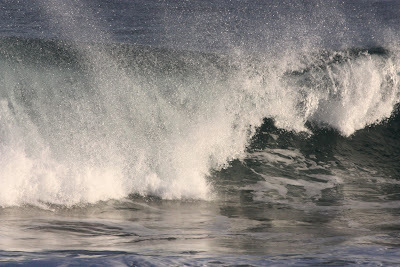 I had two people who did not have enough strength to battle the wave and undertow on their own, clinging to me. My arms were outstretched, one pulled north and one pulled south. My heels dug into the sand beneath me and I held on as tight as I could, desperate to save them both. The wave passed and everyone righted themselves, hearts beating quickly, relief settling in. During my quiet time this morning, God replayed this event in my mind. As I looked back at my physical being in that moment, I saw my arms extended in a straight line, each hand 180 degrees away from the other. I saw a cross behind me. And in some sort of weird image that only God can make in order to show His point, I saw myself super-imposed on that cross. I was a sacrifice trying desperately to save two souls, unworried about myself, sure of my footing, but scared for my daughter and my grandmother. No, I'm not saying I'm Jesus. Not even close. What I think God was asking me was if I was willing to sacrifice my life for those who have not chosen Him. Would I choose to endure waves of pain so that someone else might find life eternal? Then, would I not only live through the pain, but would I be able to eventually choose joy, despite the circumstances? Can I really lay all that I have down at Your throne? Can I trust You with all that I have and allow You to use me to the fullest extent possible to win souls for You? Can I let You use my children? Can I let You have my husband? Can I give You free rein over our financial stability? Can I give You my health? My house? My jobs? Will I offer up everything, knowing that I might lose it all, to bring You more glory? Will I willingly seek and find the joy and the presence of Your Hand, no matter what this life may bring? At the Woman of Joy conference that I attended last weekend, the recurring theme was finding joy in the midst of the most tragic suffering. Steven Curtis Chapman spoke about losing his five year-old daughter. Carol Kent spoke about her son being sentenced to life in prison for committing first-degree murder. Becky Tirabassi spoke about being a teenage alcoholic and her husband's battle with cancer. All these trials. All this suffering. And yet, here they were, allowing God to use these things to win souls for Christ. They weren't martyrs. They were the embodiment of joy because they were living out their purpose. In the midst of it all, at some point, they trusted that God was with them and would lead them, in the end, to victory. Will I be willing to take the risk to actively surrender my life so that God can use it to the fullest extent possible? Will I die to myself, to my dreams and do whatever heart work it takes to finish the race strong and in His name? Will it be for His glory alone and not for a drop of mine? Will I risk feeling as though I am being torn in two in order to be a part of the most amazing victory in the end? I don't know if this act of surrender will end in the type of pain these people experienced. I don't believe that God caused these horrible things to happen, but I do think He allowed them to happen so that these amazing people would testify to the power and divine surprises that He gives us in this world. The truth is that there will always be suffering on this earth as we now know it. There will always be pain. It is what we do with that suffering and pain that has the possibility to reveal God's powerful and amazing love, grace, and mercy. Would you risk it all for Him? 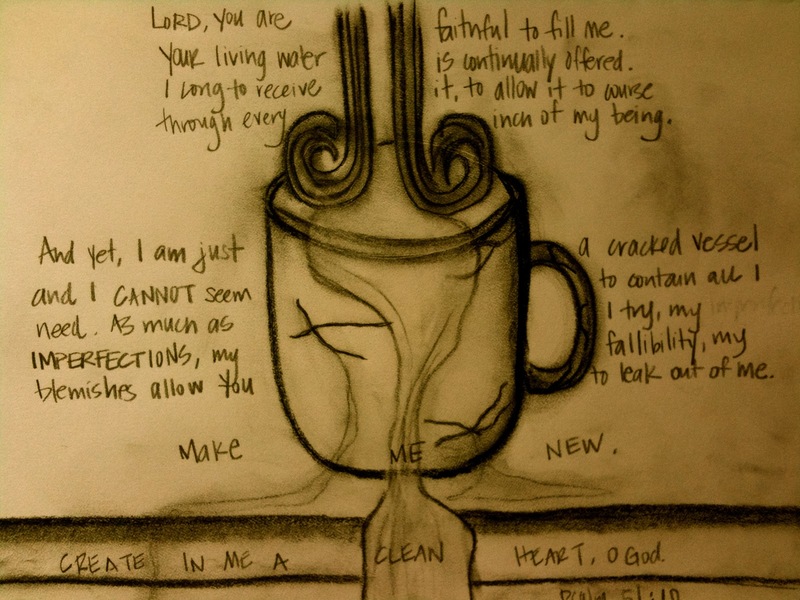 LORD, You are faithful to fill me. YOUR living water is continually offered. through every inch of my being. blemishes allow You to leak out of me. I'm linking up with Michelle at Graceful for Hear it on Sunday, Use it on Monday. Come see how others are applying God's teachings. I'm linking up with Jennifer at Studio JRU. Come see what others are doing in their studios. I used to have dreams of being center stage. I wanted to be adored. I wanted to be loved. I wanted to be the best. I wanted all of these things because I didn’t know then what I know now. He is the one that gives me my worth. He is the one who has anointed my life. He is the One who has called me by name to simply be His. It took me a long time to realize that He was battling for me. He kept trying to woo me away from this boyfriend called PRIDE. You know this type of boyfriend (or, maybe you don’t because you are way smarter than I used to be). This boyfriend is one you love because you think you can’t do any better. This is the boyfriend that feeds you lies that are so disguised that you can’t identify them as such right away. This is the boyfriend that promises the world and then leaves you standing there empty-handed. Every time. Looks like you lost a follower on your blog, Jen. You must have said too much/too little/the wrong thing. Do you really think God could call you to be a speaker? You know He knows that I’m still a problem for you. Do you really think He could trust you with something like this? Do you really think you should enter into this contest? Isn’t that a bit prideful, even attempting to enter into something where you are strutting your stuff and competing against some of your friends? Despite hearing these words, I believe that God can bring redemption to everything. All things that the Enemy means for harm, God can use for good. It’s the same way with my pride. Knowing that it is a slithering snake that attempts to wrap itself around my heart and squeeze out all the Truth that I have stored in there, I have found some ways to battle against him. I cloak myself with the armor of God, specifically with David’s Psalm 51. In this Psalm, David confesses his adultery with Bathsheba to God. There have been times when I have cheated on Him, too, lusting after the things of this world, instead of keeping me eyes focused only on Him. Praying this Psalm keeps me focused on His goodness, keeps me humble, keeps me tethered only to Him. God has done a mighty work in me and I’ve been chronicling this journey on Tuesdays with my Soli Deo Gloria girls. I know that He has called me to speak, but I also know there is more refining that needs to happen in this heart of mine. There is more to learn. There are places in my heart that have yet to be uncovered. There are still broken pieces that need to be put back together. There are roads that I am still afraid to travel. This is why I would be honored to go to the She Speaks Conference July 22-24 in Concord, NC on scholarship. This conference is put on by Proverbs 31 Ministries and offers tracks for writers, speakers, and women’s ministry leaders. If you would like more information about this conference or would like to enter into the scholarship contest, please on the links above or the button below. If you are interested in reading the story of my call and how I have been processing what He has been telling me, you can click on the s(He) Listens link found under “Pages” in the right-hand corner of my blog. Actually, I'll make it really easy for you. Just click here.